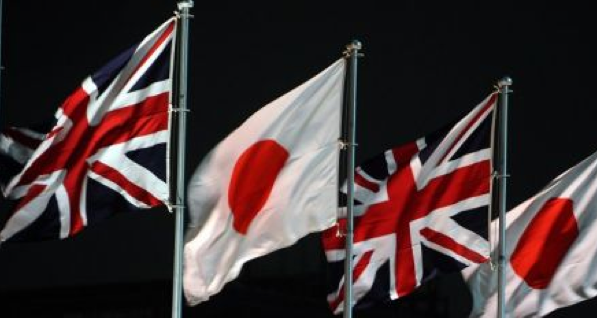 UK Foreign Minister Jeremy Hunt announced the installation of a hotline linking his office with counterparts in the Japanese government in a wide ranging speech on foreign policy (link) delivered at PolicyExchangeUK on 31 Oct 2018. Jeremy Hunt explained that his office has for a long time had secure phone connections to the US, Canada, Australia and New Zealand. This reflects the famous “five eyes” intelligence family descended from the 1940s era. Is this a prelude to Japan being invited into the five eyes family, as recently suggested in an article in the Nikkei? As an indication of how he sees Britain’s diplomacy developing in the post-Brexit era, Hunt announced that to “allow for the strengthening of important alliances”, a secure phone connection with Japan has been installed. A connection was also added to counterparts in France and Germany. The Asia-Pacific region has significant economic opportunities for the UK, and considerable influence on the future integrity and credibility of the rules-based international order. We will continue to work with like-minded partners in the region, including Japan, Australia, New Zealand and others to defend and protect our global shared interests, uphold the rules-based international order and to strengthen cooperation on settling international and regional disputes. We are strengthening considerably our defence, political and diplomatic cooperation with Japan, our closest security partner in Asia, as they take an increasingly global outlook on security issues. We strongly support Japan’s bid to become a permanent member of an expanded United Nations Security Council, and support Japan taking a greater role in UN peacekeeping. We will build on our defence cooperation, based on successful operational cooperation including on counter-piracy in the Gulf of Aden and off Somalia. We will collaborate further, particularly on disaster relief operations and broader joint deployments both regionally and worldwide. We will continue to explore longer term opportunities for closer defence engagement and defence industrial collaboration. As the world’s third largest economy, the Japanese market continues to provide important trade and investment opportunities for the UK. We will work closely with, learn from and invest in joint research programmes with our allies and partners, many of whom are pursuing similar innovation initiatives. The US are pursuing their Third Offset Strategy, which aims to retain their military advantage into the future, and France has important technology programmes, especially in aerospace, maritime and space capabilities. We will also build on our important security relationships with partners such as Japan, and with multilateral forums, including NATO.